Buy Michael Dugan II a Coffee. ko-fi.com/dugangames - Ko-fi ❤️ Where creators get paid by fans, with a 'Buy Me a Coffee' button. 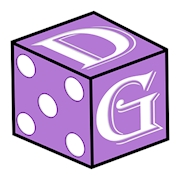 I'm Mike, and I write about Dungeons & Dragons monsters on my site, Dugan Games. I also publish articles about various other RPG topics, such as DM tips and Mechanic ideas. Secured Payments. Support goes to Michael Dugan II's account. Upgrade Michael Dugan II to a yearly Gold Membership with a one-time payment.